Description: And here they are! Mickey and the whole gang have come down here to wish you very, very happy birthdays to you. 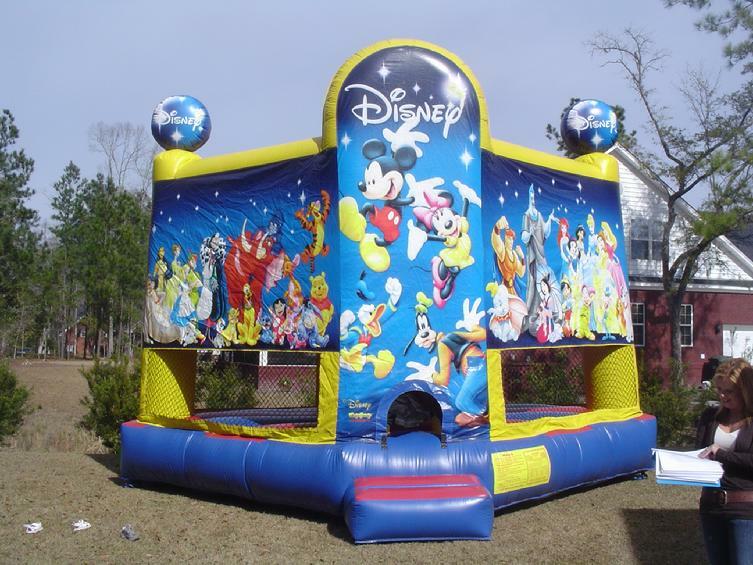 This unit is licensed by Walt Disney and includes a safety step for the kids to climb. 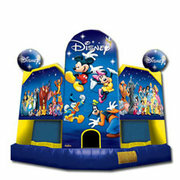 This licensed World of Disney large jump pulls in the Disney magic to any backyard party or entertainment festival. The entire cast of characters is here, from Dumbo and Tigger to the Princesses and Pinocchio, not to mention Mickey and all of his closest friends. This jumper has a character for everyone, as kids get plenty of bouncing fun under the twinkling Disney stars with their favorite member of the world of Disney.